Yuzu is a brand new employee at Konohanatei, a hot-springs inn for yokai. A simple, clumsy but charmingly earnest young girl, Yuzu must figure out her new life working at the spa with all the other fox-yokai, making the occasional mistake but also many new friends along the way. Konohana Kitan follows her day to day life working at the inn, meeting the other employees and guests, and learning to appreciate the beauty of the world and the people around her. 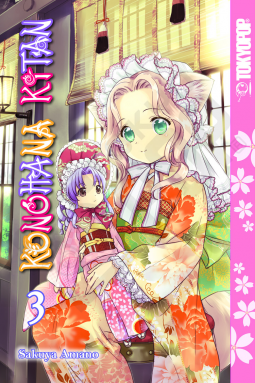 This is Volume 3 of the Konohana Kitan series.